2010 is drawing to a close and it is the perfect time to reflect on the events of the past year. We have had quite an amazing year when we stopped to think about. It is funny, when it is your own life, you don't really realize just how incredible things are while they are happening, but in retrospect, life can be quite extraordinary. We gave up our entire lives last November when we set off for India. Having travelled on and off for the past 10 years, we finally took the plunge to become full time travel writers and photographers. It was a big step. 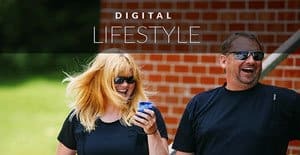 We quit our jobs, gave up on any chance of owning a home any time soon and probably pushed back our retirement years to at least another decade. But we finally feel like life has a purpose. We look forward to seeing what each new day brings. I won't lie, things haven't been all roses. We worry about where the money will come from, what the future will hold and if we will ever feel comfortable enough to actually stop counting every penny that we spend. We have fulfilled some of our wildest dreams this year. Dreams that we thought we would have to wait for, dreams that we thought we would never fulfill because we thought we had to have a huge bank account to do it. And yet we managed and had an amazing string of adventures in 2010. So what were our favourite moments? 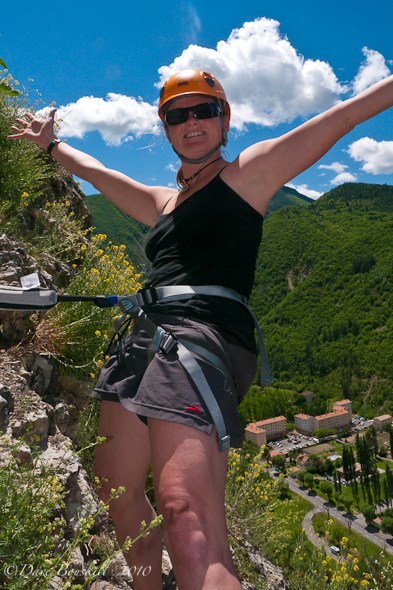 Here are our top Five Adventures for 2010. China has been one big adventure. We never thought that we would make it to this place. We thought that it would be too difficult and truthfully, we thought that we wouldn't like it. We put off coming to China on two different occasions, but we finally made it. And what an adventure we have had. We have climbed in Yangshuo, walked on the Great Wall, witnessed the Terra Cotta Warriors and cycled through magnificent karst formations. China has been surprising and beautiful. The people have been welcoming and warm. We wondered what took us so long to get here? But we are glad that we made it. With our Cheap Car Hire in France this past summer we had the freedom to go anywhere and do anything. So we hopped in and drove south from Paris searching for adventure. We had heard of these crazy walkways along the side of cliffs, but didn't know what they were called and certainly didn't know that they were found all over France, Spain and Italy. When we ran into a Canadian couple living in Switzerland, they told us about a via feratta just a couple of hours away from where we were camping. We decided to make a detour to … and try one out for ourselves. It was a fun day of tackling our first Via Ferratta. 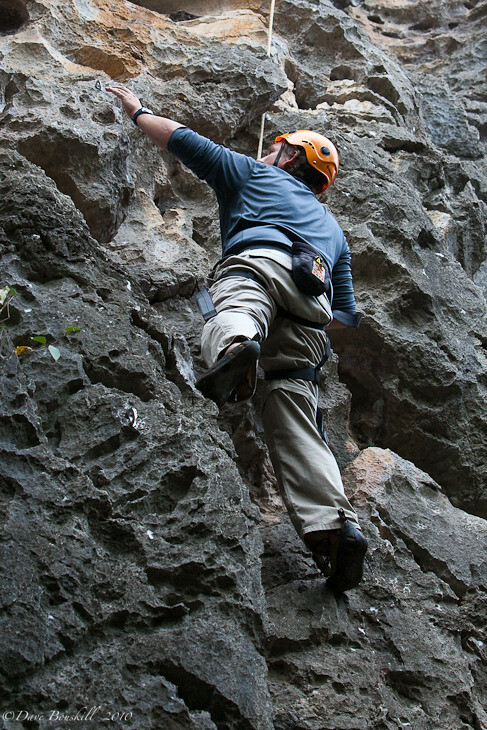 Having climbed before we had the skills to use a harness and clips and didn't have the fear of heights dangling off the side of a cliff. It was quite a thrill and the next time we go back to France we are definitely going to seek out more Via Ferattas. Our Princess Cruise to Alaska was the best trip that we have ever had in our lives. We had two weeks of adventure mixed with decadence and fun. It was the trip of a lifetime. We met amazing people, ate incredible food and enjoyed adventures that we could only dream of otherwise. We flew over Mount McKinley in a small twin engine plane, drove ATV's through the valley, rode horses through mountain trails, watched whales and took a helicopter to a remote Alaskan trail for a hike. 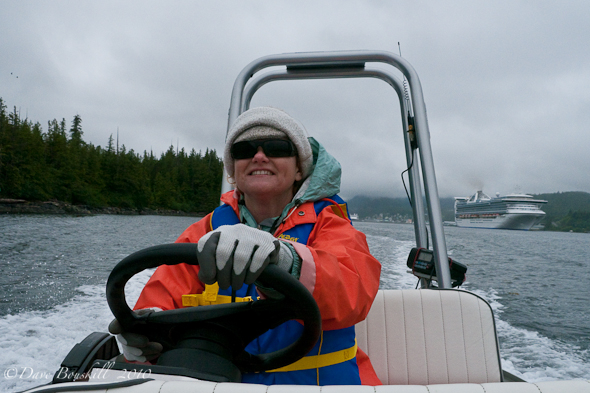 However, the most memorable adventure in Alaska was our Zodiac Adventure in Ketchikan. We were allowed to drive our own zodiac through rivers and harbours of Alaska. We watched a whale breach from sea level, enjoyed seeing bald eagles dive for their prey and roasted marshmallows in the middle of the wilderness. It was an incredible day. Who would have thought that two little adventure bloggers would make their way to Fiji. Celebrities go there for their honeymoon. 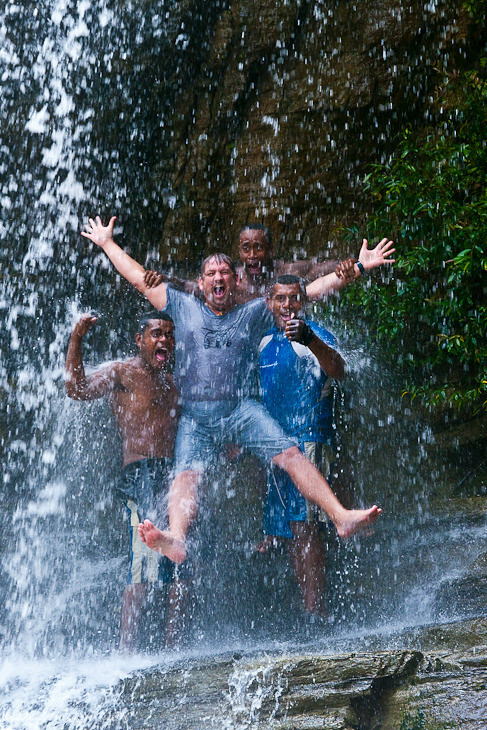 But then we got an email from Tourism Fiji to come and sample some adventures. We had a week of zip lining, jet boating, hiking in the jungle, seeing remote caves and meeting the villagers. All were great adventures, but the one that stands out the most is White Water Rafting on the Upper Navua River. The scenery was beyond anything we have witnessed on earth. Great gorges jutted up from the river banks with hundreds of waterfalls cascading down towards the river. It was like a dream that we were woken from regularly with exciting rapids tossing and spinning our group of five. It was a perfect day. It has been a dream of ours for over a decade to go to Nepal. 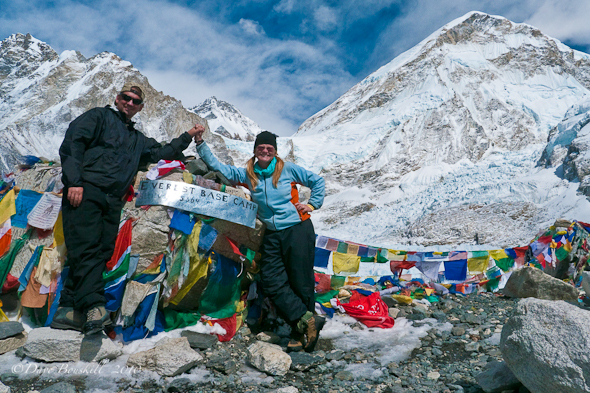 We made it there this past March and climbed to Mount Everest Base Camp. To walk the steps that Sir Edmund Hillary and Tenzing Norgay Sherpa walked in 1953 was unbelievable. The Himalayas are the most astounding scenery on the planet. We felt privileged every day being there amongst the most beautiful mountain range on earth. No other words can describe what we felt there in the Kalimatan region except complete awe. The journey was just as fulfilling as reaching base camp. We walked through villages, met local people, took in the view and pushed ourselves to the limit. It was an adventure that we will never forget and was by far the most extraordinary experience of 2010. We can't wait to see what 2011 has in store for us. With a photography tour lined up in India, a kickboxing course in Thailand and the Mongol Rally from July to September, we think that 2011 will offer even more exciting adventures. 48 Responses to "Best Adventures of the Year"
Whenever I feel lonely. I keep on reading this post which is simply astounding. 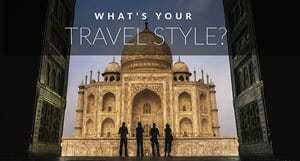 Appreciate for your contribution to share your travel experience. It provides a motivation for traveling and discovering amazing destinations. Welcome, Namaste !! Amazing Authentic Treks & Expedition (p) Ltd has constantly been one of the top government licensed trekking and tour operators in the Himalaya since 1991. Under the leadership of owner / team leader and , Amazing Authentic Treks & Expedition (p) Ltd, has provided thousands of high quality and special trips for clients from all over the world. How much fun you have experienced over there.. I wish I could be there with you enjoying.. I can judge from the pics that how adventurous you are.. I am glad I visited here.. Thanks guys, we do love our adventures. Wow! It sounds to me like you live a pretty exciting life. Really enjoyed reading about the places you have been. Can’t wait to see how 2011 pans out for you. Keep it up! Santorini could be considered for this year. I envy your courage to pursue your dream and it’s really inspiring! I visited Nepal last year too and I love the trekking experience in Dhampus and the scenic views of Fishtail mountain. Looking forward to what you have in store for year 2011! You really have an amazing travels last year and I am so curious about your travel plans for 2011… I envy you for having that hike in Mt. Everest. Actually that is my dream hike and I hope someday I can finally do it and say to the world I climb the Everest. Can you tell me more about your experiences there? You guys make me want to see eight-thousanders even more!! My husband will be insanely jealous when I tell him you are taking a kickboxing class in Thailand and he will want to follow every post! Awesome Jen. We will tell all the dirty details, the good the bad and the ugly and then he can decide if he wants to do it. The kickboxing posts should be starting on January 10th or 11th. I am jealous of some of these, especially Everest Base camp — very cool! So amazing! You guys are truly inspiring and are trailblazing the way for others to celebrate life like you do. Wish we could join you for the Mongol Rally. We’ll make it some day! 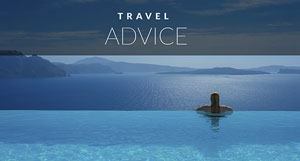 .-= Erica´s last blog ..Travel Vaccines – The More You Know =-. Thanks JoAnna. It was a fun year. Stressful at times, confusing and overwhelming at others, but when we sum up our travel moments, it turned out to be quite awesome. a great year it has been indeed! I also hope to climb Everest base camps sometime soon, and seeing tat it was your favourite trip of 2010 out of all you have done makes me really look forward to it! .-= Federico´s last blog ..Smiling With the Diola in Casamance- Senegal =-. Everest Base Camp was on my list this year but ended up getting replaced with Bali. Still hope to make it soon! Thanks for sharing so many fantastic adventures with us. .-= Laura´s last blog ..Montage Monday- Seals in Kalk Bay =-. Bali is an excellent alternative. We loved it there and found an excellent adventure learning to surf for the first time. We loved every minute of it and climbing Gunung Batur was a great climb. Something to warm up for Everest. It sounds that this year brigs a lot of fun and excitement to you…You fulfill your dream to climb the Mount Everest..That’s great…Hoping that 2011 also bring some different for you…. So jealous!! 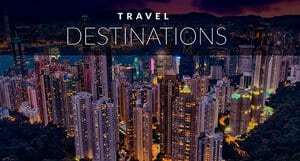 What great places to have traveled this year!! Can’t wait to experience them myself … one day! .-= DTravelsRound´s last blog ..Adjusting to American life =-. Loved this!! I heard you guys had fun in Alaska — and marveled your Mt. Everest trip — long before I “knew” you. Now I learn this was your first trip to China, and we had the very same reaction. I also found it surprisingly beautiful. I don’t know why, but that’s how I always explain it. As always, you guys are amazing! .-= Abby´s last blog ..Trading lives- new Costa Rican expat heads to the tropics =-. Wow what a great year for the two of you and 2011 is already jammed. Looking forward to reading all about it! Wow, you have the most amazing and fun adventure.. Can’t wait for your next adventures in 2011.. Thank you MaryLouise. You are right both highs and lows are memorable. It really was a diverse year in Travel and 2011 is going to take us through even more diversity. See you next summer when we drive through France for the Mongol Rally. We are going to have to arrange a meeting place to see everyone of our great friends from Europe. You did far, far cooler adventures than I did. What an amazing year you two had. It was fun reading the blog. .-= Nomadic Matt´s last blog ..Unusual Place of the Month- Hutt River Principality =-. Thanks Matt. Yes, Dave’s face says it all. It was a very fun year. Wow! What an incredible 2010 you guys have. Best of all, thank you for sharing your experience with us so we can tag along with you. 🙂 I’m looking forward to seeing what 2011 will bring for you. .-= Amy @ The Q Family´s last blog ..Road Trip With Kids- Fun Family Friendly Stop for Family Travel on the Road =-. Thanks Amy. You have been amazing since the very start of our adventures. 2010 was so busy for us that we feel we lost touch with people. We are hoping to be able to balance better in 2011. That is our number one goal! It is incredible to think back on your past year and remember the things that you did. Some really awesome adventures in 2010! Good luck with the future adventure in 2011, I might have to join you guys for the kickboxing course! .-= Migrationology´s last blog ..Photo Story- Sailing the Nile River on an Egyptian Felucca =-. That would be awesome Mark. Where are you now? What a fun year! I’ve enjoyed following your 2010 adventures … can’t wait to see what 2011 brings! .-= JoAnna´s last blog ..Tips for Traveling to Curacao =-. Just amazing, what awesome adventures!!! Can’t wait to see where you go in 2011. Thanks Andi. Hopefully 2011 turns out to be okay. Great post guys! Honestly I feel you. Long term travel & work really comes at a stressful price sometimes but it is worth it! I love reading these types of posts because they make me feel so much better when I am struggling with similar stresses. You really are an inspiration. I hope somehow i meet you guys on the road somewhere! And you have done some AMAZING things!!! .-= Bethany´s last blog ..Photos of Mt Alban – An Easy &amp Awesome Day Trip from Oaxaca- Mexico =-. I can’t wait to hear about your 2011 adventures! You guys are definitely an inspiration! .-= Gillian´s last blog ..Remember That Time…Creepy White Guys And Surprise Soup =-. Thanks Gillian. That means a lot to us. Sounds like a busy & fun year for you guys! Can’t wait to see what 2011 has in store! I was just going through our photos yesterday from Nepal and the Annapurna Circuit. Although a different location than where you were at Everest Base Camp, I completely agree that the Himalayas and the scenery in Nepal is some of the most beautiful in the world. Truly amazing. Same with people. Hope we have a chance to meet up in Thailand before you head to India. Have fun with the kickboxing! .-= Audrey´s last blog ..Panorama of the Week- Some Thai Beach Time =-. Totally want to meet up in Thailand. We really want to do the Annapurna one day as well. There is something extraordinary about being in the middle of the Himalayas. I haven’t witnessed anything like it.